Inter Allies Football Club was established in October 1996 as a nonprofit organization for kids to learn the skill of football after school sessions. Since then, the Club has been committed to the development of young talented kids who are transformed into professionals for eventual placement to top clubs in Ghana, Europe and worldwide. The success of the Club is based on the principles of co-operation, trust, humility, discipline, effort and loyalty. We have been one of the most disciplined teams in Ghana. Currently the Club has over 40 registered players and the ages of the players’ ranges between 16 to 24 years in the senior team. In addition there are 60 young players in the academy or development team that uses the identity of Cedar Stars Academy FC. Inter Allies FC and Cedar Stars Academy FC are based in Accra, the capital city of Ghana, but the youth side plays in the Division 2 league in Greater Accra Region of Ghana. Inter Allies FC played in the Ghana Division One League for Five Years until they qualified for the premier league play offs that saw them beat all their opponents to qualify them to play in the Elite soccer division in the year 2013. The Club and its Soccer Academy is owned and managed by Directors namely Rabeh EL-Eter, and Delali Eric Senaye. The technical staff comprises a Technical Director – Willie Klutse, Head Coach – Rashid Iddi, Two Assistant Coaches and Goal Keepers’ Trainers (2), Team manager (2), Physiotherapist and Team Doctor. RECORDS/ BRIEF HISTORY OF SOME OF THE PLAYERS PRODUCED. Inter Allies FC played in the Ghana Division One League football for five years (2007/8 to 2012/13 soccer seasons) and have been involved in the education and development of young talented players into Professionals. 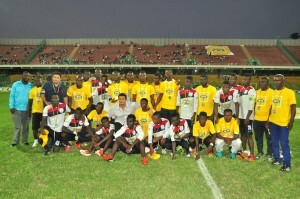 The team reached the finals of the 2013/14 MTN FA Cup finals and lost to Asante Kotoko 2-1 after extra time. 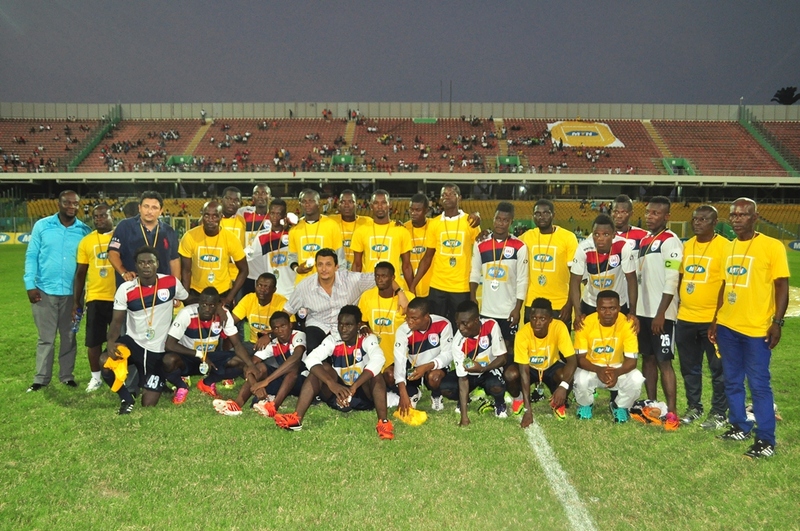 Both Inter Allies FC and Cedar Stars Academy FC have developed many players who are currently in the various National Teams of Ghana and also abroad.